Colleagues, welcome to my July blog. The last month has not only been busy but for many, very hot. It has not gone unnoticed that many of you are working long hours in some extreme weather and in some very challenging environments. My appreciation goes out to you all for continuing the excellent work day in day out under difficult conditions. This is a lengthy but important update, not least of all because we are now fast approaching a decision being made on the new 'go live' date for integration. Since the last update Darren Townsend and I have attended two further meetings regarding the merger of BTP Scotland: the Joint Program Board meeting on 24 July and a meeting with the Chair of the Scottish Police Authority. You may have seen some recent media coverage of our concerns about the re-plan. I encourage you to read the Scotland on Sunday/Scotsman article. In summary, we fear Ministers will be misled as to the 'progress' made during the re-planning phase and the revised date for integration they will be invited to consider won't be in any way evidence-based. To us, the re-plan appears to be a hollow PR exercise dressed up as a rigorous review. There are lots of discussions around what needs to be done, but no one is taking responsibility for delivery. It's looking like integration at all costs, including that of public safety. We saw how Ministers were misinformed regarding the complexities and risk of full integration, which led to the Bill being passed with relatively few challenges. Those complexities are now obvious to all but the supposed benefits, costs and impact on the protection of the travelling public are no clearer than they were two years ago. As I have highlighted previously, ICT, pensions, cost and due diligence are still ongoing and won't be resolved prior to the new 'go live' date being agreed. It has taken this JPB as long to plan the full integration of BTP Scotland into Police Scotland as it took to merge the eight legacy police forces of Police Scotland. Why? Police Scotland must be ready, from day one, to deliver railway policing. We strongly believe they will be tasked to deliver the undeliverable. This is in no way BTPF being critical of the capability of Police Scotland. They are not being provided with the tools or the relevant information/evidence to enable them to fully understand the full risks to the travelling public, rail staff and officers policing this unique and challenging environment, and this is irresponsible and careless of those advising government and of Ministers making the decisions. Political ideology should not and cannot put people at risk and that risk includes the officers that we represent. We encourage all parties to put a brake on integration, strip back the facts and the evidence, bring in the experts and deliver devolution with a strong business case, understanding the full cost, the full risk and the advantages and disadvantages to all parties, including BTP in England and Wales. On the subject of experts, you may have heard there will be a robust independent gateway review of the re-plan. What I can't tell you is who exactly will conduct the review and what experience they have of policing but more importantly, railway policing. What I do know is none of the official regulators are invited and the review is scheduled to take one week only. Therefore, I have written to ORR, HMIC and Audit Scotland, requesting their involvement and their input to this process. How can anyone inside the Scottish Government seriously believe they can convince our officers, rail staff and the travelling public that the review of integration was independent or robust without involving official regulators? Where is the accountability we so often hear about from Ministers, where is the transparency and where is the true display of democracy and common decency? In short, if full integration is pitched to Ministers as being viable it will be an absolute travesty and it seems BTP Federation are the only ones willing to say so. Moving onto the event day at Glasgow BTP, I can only apologise that yet again your questions went unanswered and certain officials were so discourteous they left the event prior to its conclusion, leaving members of the JPB to attempt to answer some of your concerns. This only served to reinforce the lack of understanding about your concerns and thoughts on integration. It is disappointing that yet again we witness how badly Government officials are treating you and we have made our thoughts known. The pensions debate continues and in company with NARBTPO and the Superintendent's Association we continue to seek the information and more importantly the reassurance we all need prior to any final decision being reached. There was a suggestion that the Scottish Government will consider a 'letter of comfort' underwriting the proposed segregated pension pot. Be reassured this will be challenged. Nothing less than a Government Guarantee will suffice. A comfort letter is a poor attempt to dress this up as strong governance. Additionally, any suggestion that the Scottish Government can uplift £99 million of assets from a private pension scheme will not go unchallenged. This scheme is your scheme not that of the Government and it is you the members who should be consulted prior to any decisions being made. We are insisting the Trustees do exactly that once a viable proposal is delivered. Finally on Monday 30 July, Darren and I had a productive meeting with Susan Deacon the Chair of the Scottish Police Authority. Susan listened to our concerns and took then om board. She is taking a very close interest in the re-plan, especially as we approach decision day. We are grateful for her time and support with this matter. So, a long update but it's important we keep all of you updated, especially as we reach such a crucial part of the process. If you have any further questions, please do not hesitate to contact us and we will do our utmost to provide you with any further detail. Our next NNM is on 7 August and we have several matters to discuss: the future pay rise; JRFT; the demand review; several policies (limited duties, RDIL/BHIL, tattoo policy, and flexible working); and finally Northwick Park and some of the re-emerging horror stories we are receiving. The meeting is being held in London with DCC Hanstock and Kerry McCafferty and Pauline Okirie from HR. As reported last month the proposed the limited duties policy is very close to being finalised. We are still not in agreement on the 'X Factor' part and the policy was returning to COG for further consultation, so we anticipate an update. Regarding the Job-Related Fitness Test and separating it from the Police officer Safety Training, Steve Lewis, Deputy Chair of the Federation, submitted a paper to the DCC for consideration. As reported last month it has passed the first hurdle in as much that the DCC accepts the opinions and reasons for proposing such a decision and is willing to sponsor the proposal at the next Force Executive Board meeting. We look forward to receiving the feedback from the next FEB meeting and hopefully we will see a common-sense approach. 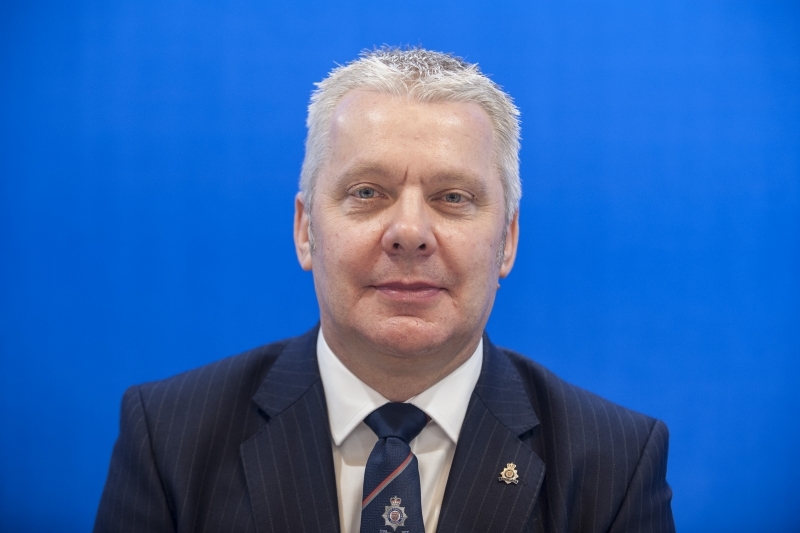 Darren Townsend will attend the next Joint Chief's Council (JCC) meeting with the Chief Constable. This is in company with the Supt Association and TSSA. We hope Darren will receive updates from the CC on Scotland, the CT Hubs Birmingham and Manchester and the pay rise, alongside other updates he may wish to share. I suspect 2021 will be one of those updates. You may already know that the latest HMIC report has been published and the results of their inspection are very impressive. BTP has been judged as 'good' across the board. We are one of only thirteen Police Forces across England and Wales to receive such a rating and that is testament to you all, and how your determination and self-motivation continues to deliver the excellent service the travelling public deserve. Clearly there are still areas that need improvement and I believe BTP are attempting to address those. We obviously want to focus on welfare and wellbeing and while there have been massive improvements there is definitely more work to be done. Nonetheless let's not take the shine off the fact that you have yet again demonstrated how hard you all work and its very satisfying seeing independent bodies recognising this. So, a big thank you to you all from all in BTP Federation. Last weekend BTP officers, in company with family, friends and colleagues, attended the annual Care of Police Survivors (COPS) service of remembrance. Debi Rouse laid a wreath on behalf of BTP Federation. The service coincided with the conclusion of the Police Unity Tour. This cycling tour has raised in the region of £200,000 for the excellent charity COPS who support families of police officers who have lost their lives. Well done to everyone involved. I'm going to end this month's update on an extremely positive note. We're delighted that our colleagues PC Wayne Marques and PC Leon McLeod will be honoured by Her Majesty The Queen in recognition of their brave actions during the terrorist attack at London Bridge. Wayne will receive the George Medal for gallantry and Leon will receive the Queen's Gallantry Medal. Their outstanding and unwavering bravery saved lives and helped many people caught up in what was a devastating attack. They put their own lives on the line to protect the people of London. They are true heroes and we couldn't be more proud of them. Congratulations to both. Keeping brave and dedicated colleagues in mind, we will shortly launch the search to find worthy recipients of our #BTPBrilliance Awards of Excellence. Last year we widened the nomination process and asked you to tell us about the brilliant teams and colleagues you work with. We heard stories of exceptional bravery, tenacity, and officers going well beyond the call of duty. Do get your thinking caps on so you're ready when the nomination forms are circulated towards the end of the summer. Thank you again for reading the blog. I hope it is informative and if you have any questions or concerns please do not hesitate to contact your local representatives.